I guess the only real surprise is that I have not done this before. 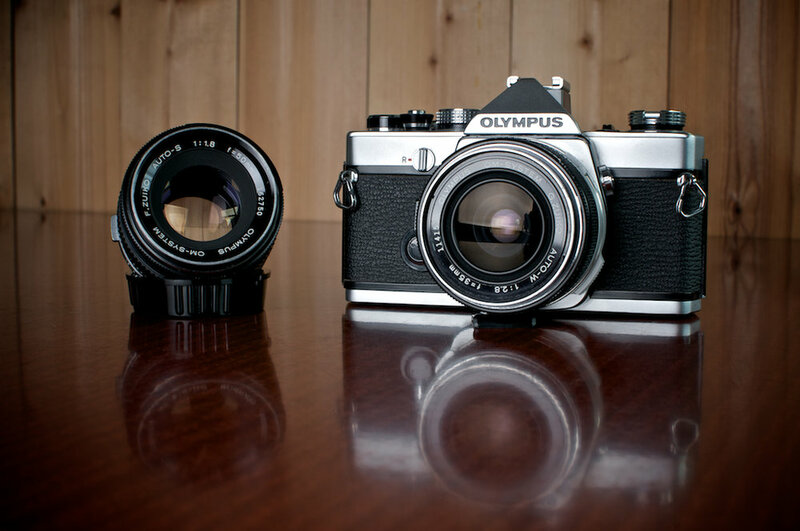 I won't go in to detail about why I was looking on auction sites for the OM-1, but needless to say I was and I'd identified a 50mm f/1.8 Zuiko Lens along with an OM-1 Body from different sellers, the maximum bids where placed and I was pretty sure they would be winning ones. All that was left to do was monitor the progress of the auction and with luck they would be mine. Am I the only person, that having found exactly what he was looking for and made a bid, then continues to look for new listings of the same item on a daily basis...........in effect I was looking for trouble and this time I found it. 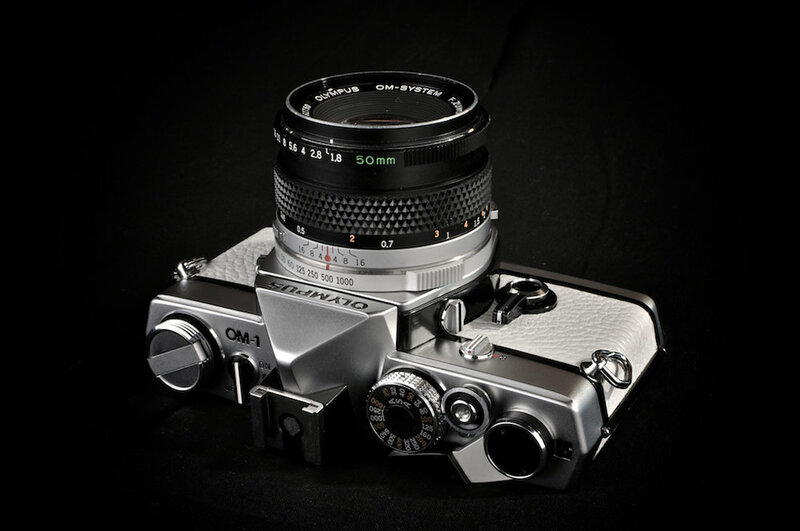 OM-1 Body with 50mm f/1.8 Zuiko and 35mm f/2.8 Zuiko Lenses. 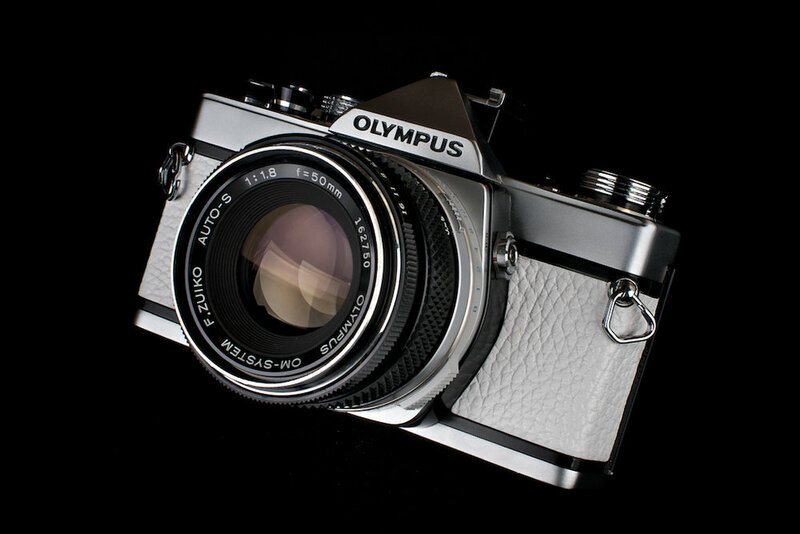 All with original packaging and documents, plus a Lens Hood and Repair Manual. To top it all off it was owned by a former Camera Repair man. I pondered this turn of events for a short time, was it just unfortunate that this superior set had been listed after I'd already placed bids elsewhere..........no it wasn't, it was fortunate I'd found it. That's how easy it was to turn a negative in to a positive, for me anyway!! 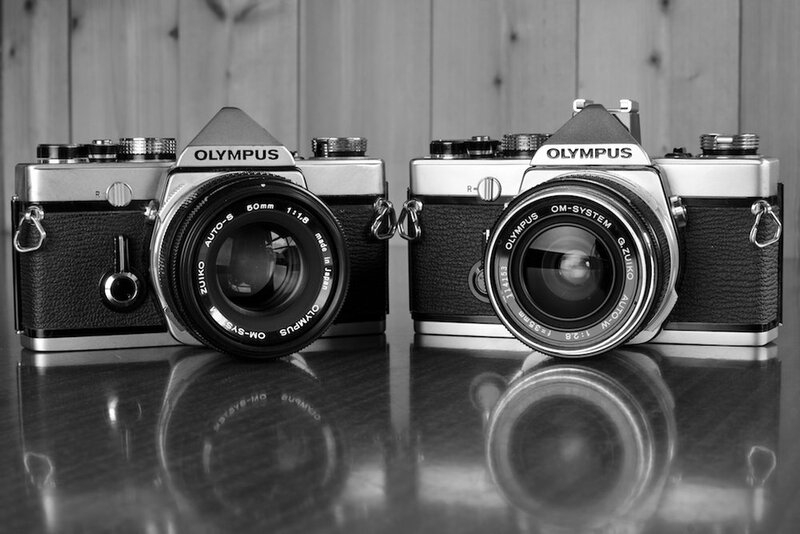 "This is Stupid" I said to myself.........having two cameras that look the same......at that moment the Olympus OM-1 a la carte was born!!! I proceeded to take a couple of shots of the camera in its existing condition, for posterity. 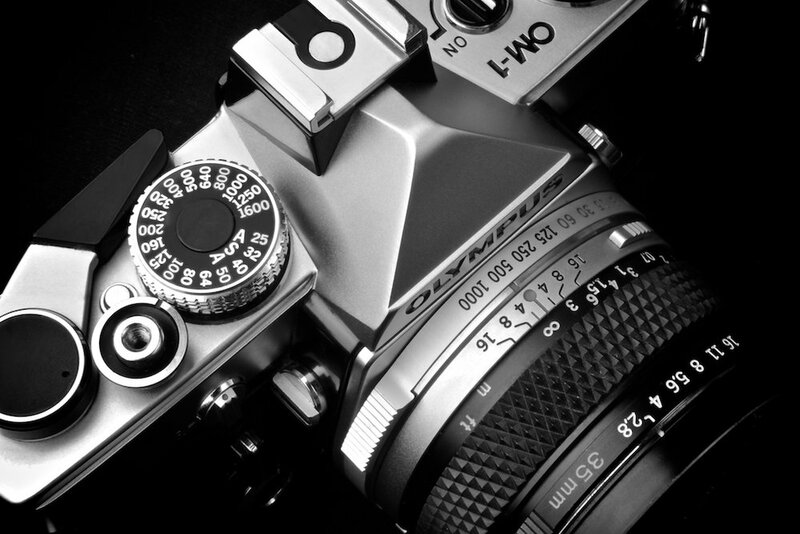 This was probably the hardest part of the exercise, the camera looked so beautiful as it was and it was in such pristine condition the mere thought of doing anything to it was in some ways objectionable, however, onwards and upwards! Even now I can only look at this image through my fingers.....what was I thinking! It's well adhered but once you get it started it comes off in one piece, this is good because it makes it easier, bad because you sit there thinking I could put this back on and forget about the whole silly idea, yes I did think that.....but I pressed on, in the end I think it was worth it. I may be giving the impression that I rushed in to this, I did however do my research as always. I also gave it a lot of consideration because it's just not something I've even considered before. There are several websites selling replacement leather kits on the net, I used Aki-Asahi.com They were helpful and quick to respond to my emailed queries, the kit was US$15.00 plus $4.00 delivery and arrived in one week. The kit was well packaged and came with a dummy set in a random finish to allow you a trial run. Of course I didn't need this........Full instructions are on the website and its so easy. Now all I need to do is order a Gordy's neck strap in Black Leather with White Thread and the project is complete. Hope you enjoyed and welcome your thoughts.